An ultra-compact digital mixer and interface designed for iPad control, freeing you to mix from anywhere in the venue and providing a smart, portable solution for bands, AV and installation. The companion Qu-Pad app is a beautifully elegant, intuitive mixing interface, giving easy access to the full wealth of Qu features and setup options. On top of its 18 onboard inputs and 14 outputs, Qu-SB can be expanded up to 32 mono inputs and 24 outputs by connecting to one of our family of remote AudioRacks over a single Cat5 cable. Couple this with the Qu-You personal monitoring app for Android and iOS, plus the ME-1 personal mixers, and Qu-SB is a fantastic choice for bands looking for the same great monitor sound wherever they play. Having massive processing power and advanced functionality is great, but it counts for nothing if you can’t access the controls you need in a heartbeat. Qu-SB is designed to integrate seamlessly with the Qu-Pad iPad app, providing super-fast, easy access to all settings, including channel processing, meters and RTA views, FX racks, scene management, USB audio control, setup menus and much more. Qu-Pad connects to the mixer over Wi-Fi* and gives you the freedom to adjust the monitors on stage, roam around the venue whilst tweaking the PA, and then mix the show from the heart of the audience. Qu-SB’s sixteen AnalogiQTM total recall preamps feature zero crossing detection and an advanced padless 1dB step gain stage, closely allied to the DSP for optimal gain accuracy and audio transparency. The analogue signal is captured by high class, low latency 24bit analogue to digital converters matched to high quality 24bit digital to analogue converters to deliver the required outputs. The AnalogiQTM design has been refined over many months to offer superb transparency, minimal distortion and an ultra-low noise floor, with a warm, musical sound that is missing from some digital consoles. QU-DRIVE Forget soundcard drivers and software setup, Qu has an integrated multitrack USB recorder, providing 18 channels of 48kHz, 24bit recording and playback straight to / from your USB hard drive. Capturing multitrack recordings of your shows has never been so easy. Mixes and FX returns can be recorded alongside channels, and multitrack audio can be played back to the mixer for virtual sound-checks. An independent set of controls is provided for quick stereo recording of the main LR or other mix outputs, and a 2-track USB return can be routed to ST3 for playback of stereo WAV files such as walk-in music. ILIVE FX Qu-SB’s dynamics and FX algorithms are derived from the FX used in the iLive pro touring series. Some of the world’s most respected audio engineers have chosen to use iLive’s FX on tour in preference to top-end plug-ins and external FX units. Qu-SB boasts 4 stereo iLive FX engines, featuring lovingly crafted emulations of legendary classic reverbs, gated reverbs, delays, modulators, flangers and more. AUTOMATIC MIC MIXER (AMM) AMM is vital in applications such as conferences, meetings and panel discussions where a number of microphones are open at the same time, reducing background noise and minimising the risk of feedback. 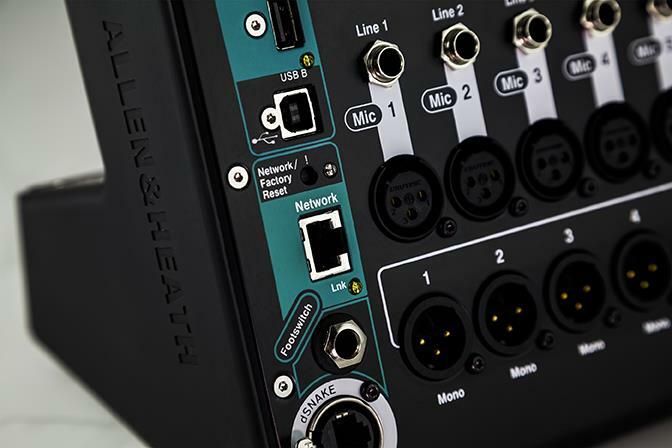 The Automatic Microphone Mixer feature helps the engineer to manage the levels of multiple mic inputs, ensuring that each speaker’s contribution is heard. The D-Classic dynamic gain sharing algorithm is inspired by industry standard automixers. Up to 16 microphone sources can be mixed at once, with each channel having a priority setting which determines its ‘weight’ in the total system gain. USB AUDIO STREAMING Qu’s built-in interface streams multitrack audio to your Mac or PC via a flexible patching system: all Input channels and the Main LR can be recorded at the same time, or you may choose to record something different such as FX returns or a pair of mixes. The returns from the computer can be assigned to the Input channels. The interface is class-compliant on Mac OS X – and drivers are available for Windows systems. Either way, it will be recognized straightaway by any DAW supporting ASIO or Core Audio, including Logic, Cubase, Reaper, and Pro Tools. 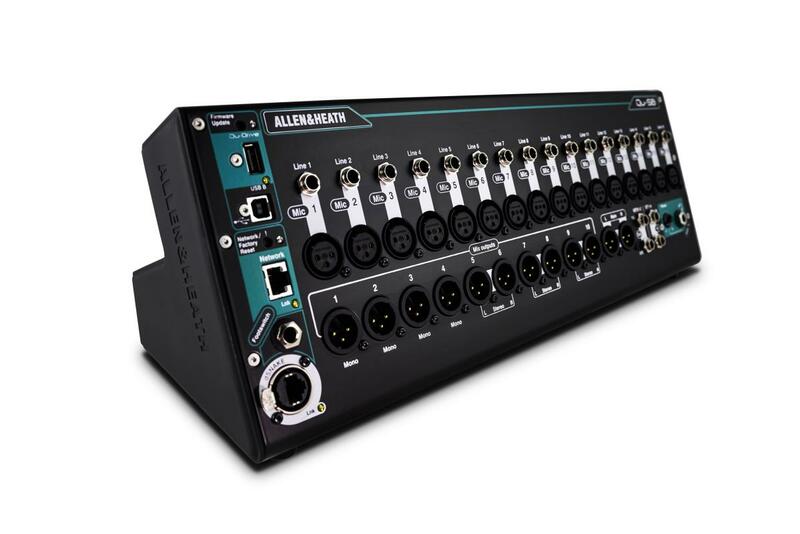 Qu-SB can be expanded to up to 38 inputs via dSNAKE, allowing a convenient Cat5 connection to a combination of remote AB168, AR2412 or AR84 AudioRacks. dSNAKE is our proprietary networking solution, boasting a transport latency of only 105us over cable runs of up to 120m / 390’. The AudioRacks unleash all the power of Qu-SB, giving you access to extra outputs for Stereo Matrix, Groups, or extra monitor Mixes.